Well over the past few weeks I have been testing out some of my recent purchases and I thought I would compare expensive vs the cheaper option to see which is best. Surely bigger price tag means better product? 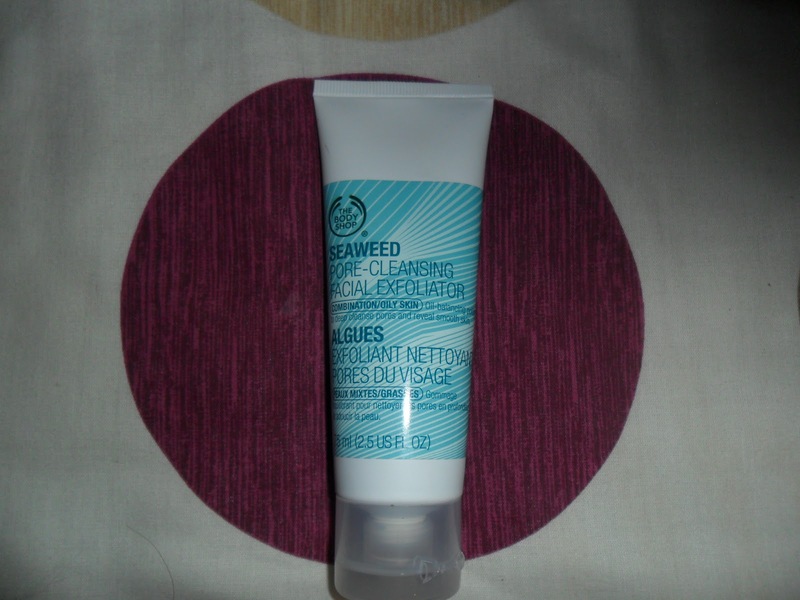 The Body Shop Seaweed Pore Cleansing Facial Exfoliator (for oily combination skin). 75ml. £8.00. 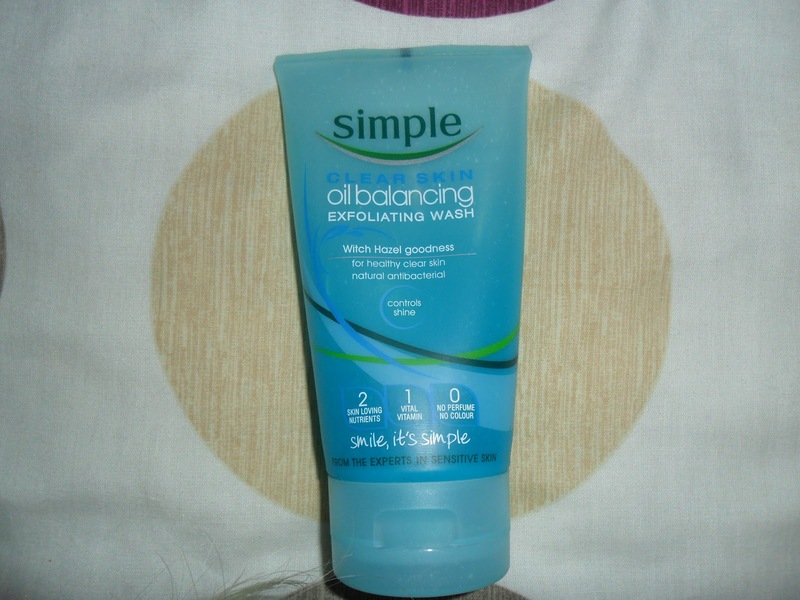 This exfoliator is an 'oil balancing polish to deep cleanse pores and reveal smooth skin' it contains Jojoba oil (yum!) which makes it smell gorgeous but the smell isn't over powering it smells fresh. Now at £8.00 for 75ml it's a little on the steep side but a little goes a long way, I use a pea sized amount each time and that is plenty. 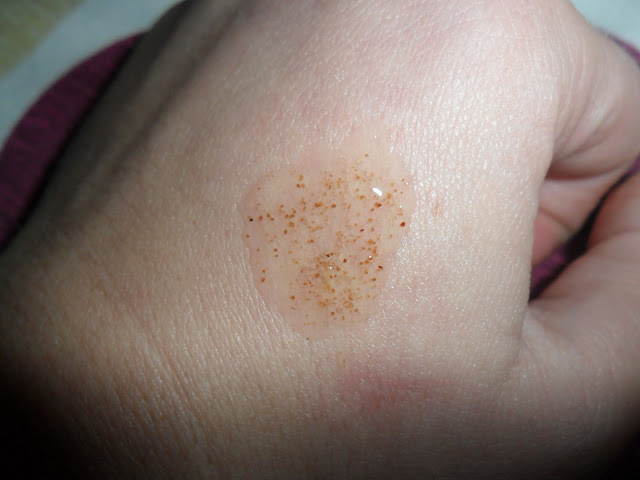 It is filled with soft exfoliating beads and makes my skin feel like silk. I can't believe I have never used this product before. I am hooked, overall I give this product 10/10. 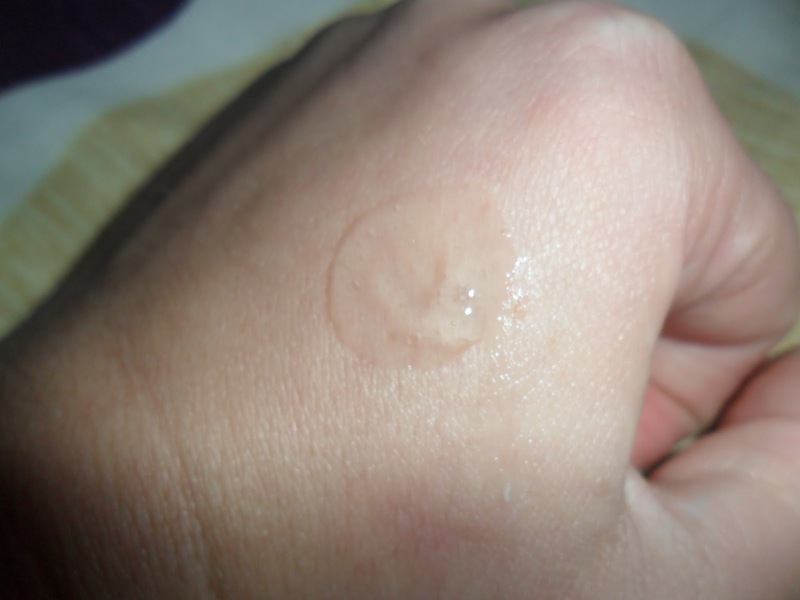 Simple oil balancing exfoliating wash. 150ml. £4.00. This exfoliator 'contains witch hazel for healthy clear skin is a natural antibacterial and also controls shine'. I don't know about you, but when I think of a good exfoliator I think small soft beads that scrub your face leaving it feeling fresh, here is a sample of the Simple exfoliator. Can you see any beads? No? That is because they are very few and far between, I could hardly feel them at all. I know the Simple range is aimed for sensitive skin but you want to be able to feel some beads even if they were very fine. It foams up nicely and has a fresh smell (no perfume), but I couldn't help but feel this is more like a foaming cleanser than a exfoliator. The price is good but not the product I was expecting. Overall I would give this product 5/10. 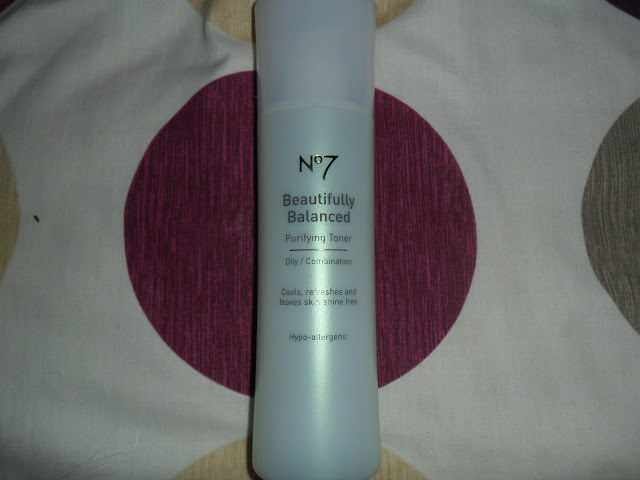 Boots No7 Beautifully Balanced Purifying Toner (for oily combination skin). 200ml. £8.00. This toner 'cools, refreshes and leaves skin shine free'. Well I was dissapointed with this product, I honestly felt like I had got some cotton wool ran it under the tap and wiped my face with it, leaving my skin feeling damp and not really refreshed. When I think of toner I think of exactly what they have described but for me this did not refresh my skin and took quite a while to soak into my skin. My face felt clean after using it and the packaging is nice. Luckily I used one of my Boots No7 £5 off vouchers for this so it only cost me £3.00 I still wouldn't get it again even at that price. Overall I give this product 4/10. Tesco Cucumber Toner. 150ml. 75p!!! I have to say this is an absolute bargain! 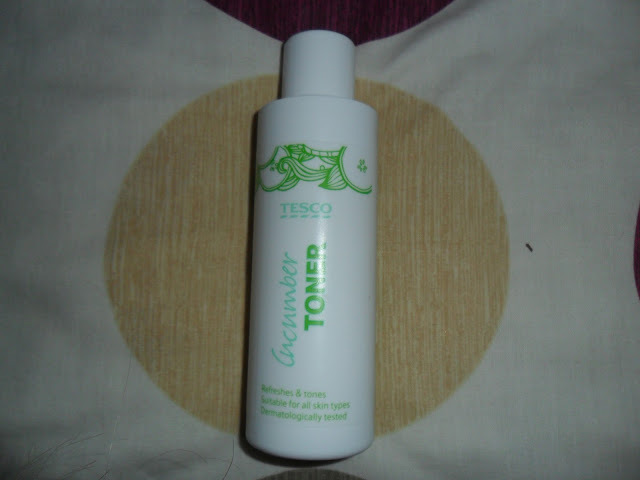 This toner does everything a toner promises, my skin feels cooled, refreshed and very clean, it also smells gorgeous. Yes the packaging is just standard compared to the long elegant packaging of the No 7 Toner but for 75p who cares! Overall I give this product 9/10! I am glad I tested both the more expensive and cheap versions of these products I wouldn't have usually picked up a Tesco toner I am very happy I did as I have now saved myself some money! Have you found any own store brands that have really impressed you? Great review! 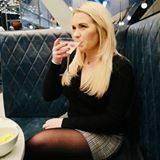 I love 'Simple' products as they're one of the only brands that doesn't irritate my skin and give me awful breakouts, but I was also disapointed with their scrub! However Superdrug do a great one in their Vitamin E Skin range, its under £3.00 if you ever get a chance give it a go! Ooohhh thanks for the tip hun! I will go and get it on my day off. I think The Body Shop one is amazing but £8.00 for 75ml is a little steep especially when i'm trying to save in the run up for xmas!lol!